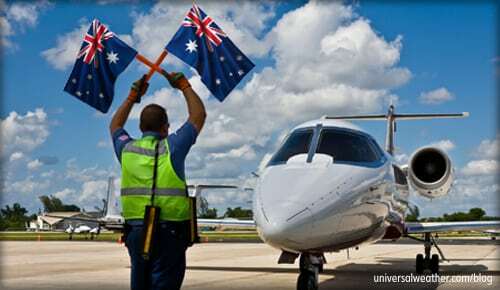 Australia is a welcoming environment for business aviation, with some of the best ground handling and services you’ll find anywhere. But there are steps operators can take to smooth and streamline the arrival, airport slot and ground handling processes. Work with your 3rd-party provider and local ground handler in advance to make your flight experience to Australia even better. Provide your ground handler with a firm schedule and as much notice as possible — at least 24 hours’ notice is recommended. 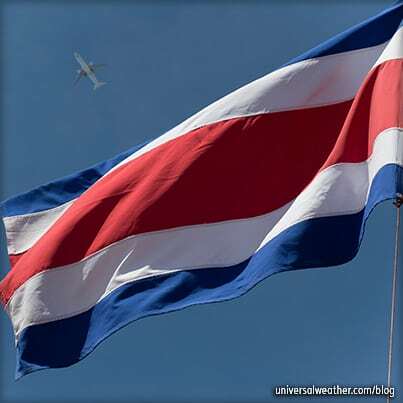 Required information includes aircraft type and call sign, itinerary with dates and times, and a list of all services required. It’s important to provide full passport information, including names, gender, date of birth, issue and expiry date of passports, passport number, and confirmation that all passengers have visas (visa numbers are not required). All passengers require a visa to enter Australia and arriving without a visa is an automatic $5,000.00 Australian dollars (~$5,100 USD) fine. Nationals of many countries can secure electronic visas online in about 20 minutes, but a visa application must be made outside the country and cannot be applied for by your local ground handler. Visas cannot be obtained on arrival. 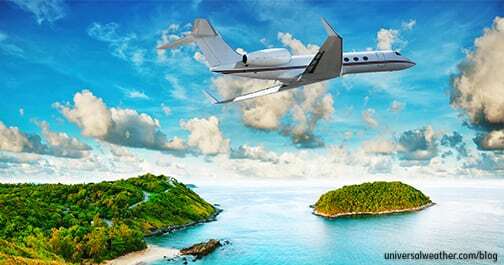 While a landing permit is required for a charter flight, private non-revenue and charter operations are handled the same way from a ground handling perspective. 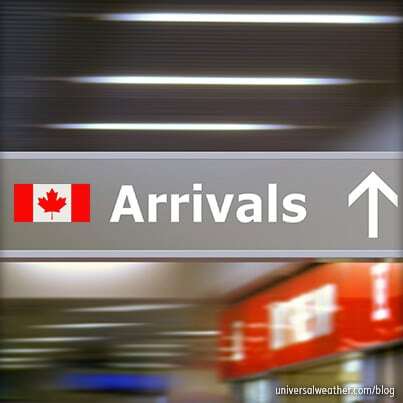 Customs arrival cards should be completed in advance to expedite the customs clearance process. Your ground handler will be able to fill out as much information as possible when crew and passenger information is sent in advance, and they can provide blank cards to carry onboard for future trips. 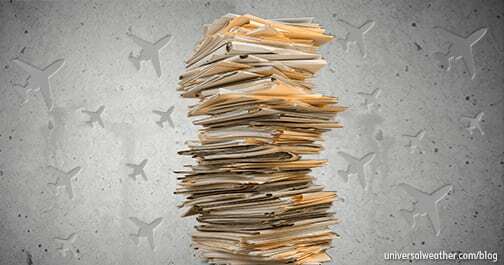 Your ground handler will advise airport authorities of crew and passenger information and aircraft schedule. The ground handler will also arrange for airport slots when required and requested by the operator. Aircraft parking is usually arranged on the ground handler’s ramp, but parking for large or wide-body aircraft must be coordinated with airport authorities. Airport authorities require confirmation of aircraft parking prior to issuing airport slots. Aircraft parking is not usually a problem for business aviation aircraft. However, each airport is different, and there may be cases where the aircraft will be parked far away from the Fixed Base Operator (FBO). Auxiliary services like jet fuel, local transportation, and lavatory and water will be arranged by your ground handler. 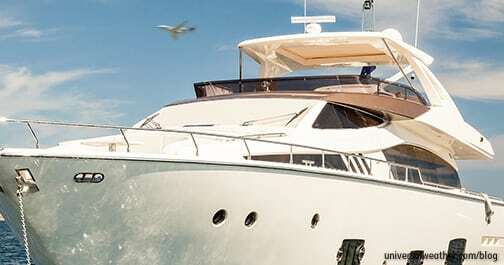 Charter operators require an Australian Transport Security Plan (TSP). This can take 6-8 weeks to obtain after submission of complete documentation, and is the most challenging aspect of charter operations to Australia. 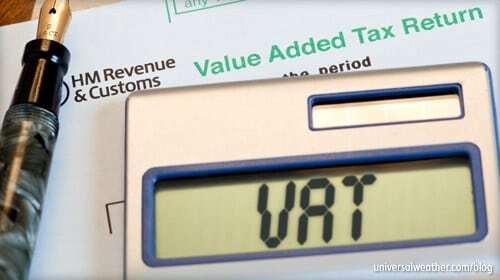 The TSP requirement no longer applies to private non-revenue operators. Airport slots usually have a deviation of -/+ 15 minutes, are set up through a slot coordinator, and should be requested as soon as you have a firm schedule. Avoid peak times when requesting airport slots. Sydney (YSSY) is the most congested airport in the country, with peak commercial activity 0630-0900 and 1600-1900 local. YSSY airport slots differ from other locations as the departure airport slots have a deviation of -/+ 15 minutes, but the arrival-airport-slot deviation depends on the time en route (to get to YSSY). If the en-route time is three hours or less from the last destination, the deviation is -/+15 minutes. However, if the en-route time is more than three hours, the deviation is -/+ 30 minutes. All arriving aircraft are required to be sprayed with a specific disinfectant before arrival at top of descent. The crew will need to fill out a form and show the empty spray can to customs. If the spray is not available onboard, the cabin will need to be sprayed on arrival with doors closed for 10 minutes. If your aircraft has a separate cargo area not accessible inflight, this must be sprayed separately prior to the last departure point before traveling to Australia or after arrival into the country. If the cargo area is sprayed after arrival it will delay the baggage removal by 10 minutes. Please note that this particular sprays permitted to use for the cargo area are called ‘Pre-Spray’ or ‘1-Shot’ and are available at your FBO in Australia should you chose to complete this step after arrival. Towbars are required when operating to YSSY, and you’ll be fined if no towbar is available. Confirm that your handler has an approved towbar, or bring one with you. Jet fuel suppliers throughout Australia accept major credit and fuel cards as well as fuel releases. Always provide as much advance and accurate notice as possible for jet fuel uplifts. Due to airline commitments at airports around Australia, general aviation (GA) fueling delays may be as long as two hours at times. Credit is possible for all 3rd-party services. 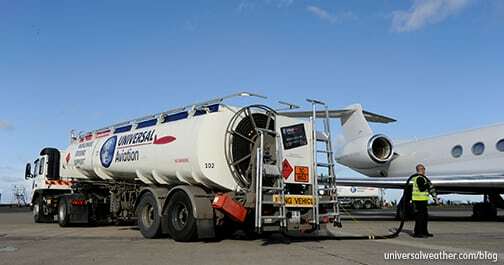 We discussed fuel in depth in our previous post: 6 Tips for Arranging Jet Fuel Uplifts in Australia. Government fees are typically paid on your behalf by the ground handler. Customs, Immigrations and Quarantine (CIQ) fees to come to the FBO to clear your aircraft are less than 20 Australian dollars. There’s also a 47 Australian dollars departure tax per passenger that the ground handler will pay on the operator’s behalf (this does not apply to crew). Aircraft parking costs are based on weight of aircraft and range from 80 to 250 Australian dollars per day but may be higher in the case of BBJ or larger aircraft. Since the customs clearance process varies from airport to airport, talk with your 3rd-party provider or ground handler to confirm the customs process for your requested airports. At YSSY, crew and passengers clear at the FBO when there is a maximum of 25 people onboard, including both crew and passengers. At Perth (YPPH), crew and passengers must clear through the main terminal. At other airports (including Brisbane [YBBN]), you’ll clear onboard if there are no more than 10 people onboard, including both crew and passengers. We discussed customs and immigration in depth in our previous post. Next week, we’ll continue this article by discussing tips for arranging services through your ground handler.